AT THE last full council meeting on September 20, in the special debate over the Barton APP, I emphasised the need for more housing in Oxford. However, I did also say that I was very concerned about the flooding and sewage situation in Marston, as this is very serious and has gone on for a number of years. We need to make sure that the correct infrastructure is put in place properly before the Barton development goes ahead, as I fear the situation will worsen with the extra strain upon it! A PLAQUE is to be installed at Marston’s memorial trees to help safeguard them for the future. Four trees were planted around the area on Armistice Day in 1950 to commemorate those from Marston who died during the Second World War. But there were fears last year that one of the trees, at the corner of Marston Road and Old Marston Road, would be cut down by Tesco as part of its plans to redevelop the old Friar pub as a store. 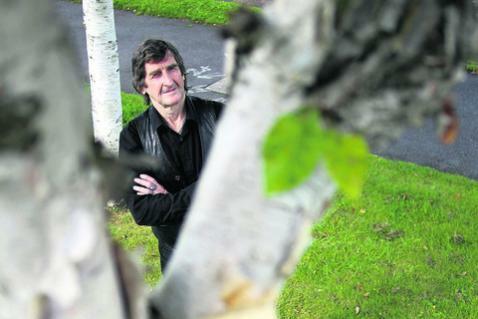 This was denied by the supermarket giant but renewed interest in the trees had sparked calls for them to be officially commemorated. Oxford city councillor Mick Haines is set to install the plaque in Marston Road so the war heroes are never forgotten. Mr Haines said: “It will be brilliant for Marston to have this plaque. “It will be in remembrance of those people from Marston who gave their lives and it will let people know the importance of these trees for the area. The trees represent different branches of the Armed Forces. One near Crotch Crescent was planted for those who died while serving in the Navy, while two more in Marston Road were planted for the Army and the Air Force. The final tree was planted at the corner of Old Marston Road and Marston Road for the Home Guard, also known as Dad’s Army. Memorials in Marston’s churches list 13 men from the area who died during the Second World War. Mr Haines will be using about £500 from his £1,500 council allowance, which can be spent on projects in his ward, on the plaque. Oxfordshire County Council has given the scheme the go-ahead and the city council has approved the money from his budget. Roger Baycock, who runs saxophone shop Allegro Oxford in Marston Road, said: “I am all for the idea that this plaque should be there. Planning permission for the Tesco store was granted last June by planning inspector Andrew Pykett, who said the effect of the store would be “limited” despite a local petition which gathered more than 4,400 signatures. IN LIGHT of the local elections I wanted to take the opportunity to acknowledge the success of Mick Haines in being elected as councillor for Marston. Standing as an independent, Mick exemplifies what a good council representative should be. Always available, helpful and willing to listen, he takes any issue, large or small, and pursues it with professionalism, always keeping you informed and seeing it through to a conclusion. He is an excellent example to all and I would like to congratulate him on his well-deserved success. I WOULD like to thank all the people who voted for me in the Oxford City Council elections where I made history by becoming the first independent councillor for Marston and the first in the city for many years. If this is “Mickey Mouse politics”, perhaps we should have more. I will continue to fight for all the issues which are important to the residents of Marston. AT 71 YEARS of age, most people are thinking about putting their feet up. But one of Oxford’s newest city councillors has just taken on a whole new challenge. Community campaigner Mick Haines was elected to represent Marston on Oxford City Council at the elections last Thursday. The former scaffolder has spent years campaigning for better community facilities in the area he has lived in for nearly 40 years. And he has said he wants to see change in Marston over his time in office. He said: “I am ready for the challenge and excited. “My first priority is to get a plaque in memory of the Armed Forces from Marston near the trees which were planted on Armistice Day in 1950 in Marston Road. Mr Haines said he would also campaign to keep Marston Court care home open and improve parking in the area. As a young man Mr Haines worked as a painter and decorator, but found the job boring. His boss moved him on to a team of bricklayers. He went on to become a scaffolder, picking up his advanced scaffolding card in 1979 and going on to run his own firm, employing 28 people. Since 2004 Mr Haines has been involved in a number of campaigns on issues ranging from sewage tanks underneath Croft Road recreation ground to plans by Tesco to open a branch in the old Friar pub in Marston Road. Earlier this year, five years of campaigning, which included a trip to Downing Street, paid off as Oxfordshire County Council agreed to put lights in the Croft Road recreation ground. Mr Haines said he stood for election as an Independent to make sure Marston is not at the bottom of the city council’s agenda. He said: “Now that I am on the council I can be a voice for the people. Mr Haines is married to Janice and has six children, eight grandchildren and three great-grandchildren, who he says help keep him young. 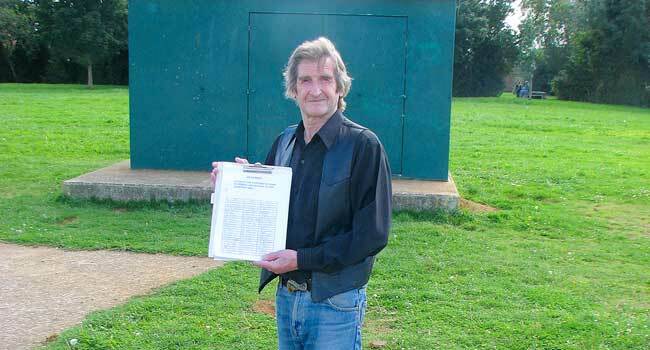 The Elvis fan has lived in Marston since 1973, but was brought up in Headington by his grandparents. He won the seat with 877 votes – and a majority of 241 over second-placed Labour – in a ward with the third highest turnout in the city. 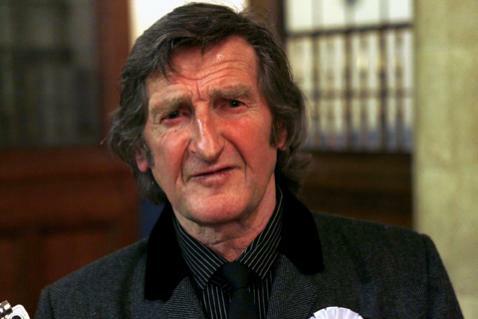 His seat had been vacated by Labour councillor Beverly Hazell, who stood down, and only three of the 24 councillors up for election across the city received more votes than him. The last time the seat was up for election, in 2008, Labour had a majority of 188 and Mr Haines came third. Mr Haines said: “I could have a rough ride, but we should all work together and do what is good for the city. “I am prepared to do the work and I have had three or four meetings this week already. A city councillor has voiced his concern about new plans to build houses that could add to flooding troubles in Marston. Independent councillor Mick Haines says the people of Marston are worried the 1000 new homes to be built in Barton will lead to further flooding. They believe water from the new properties will drain down into Marston and increase the problem of flooding. According to Cllr Haines, flooding and bad drainage have been a problem in the area for over 20 years. “The flooding problem been going on for 20 odd, 30 years, and the situation has got no better. “Raw sewage has been coming up through the drains as well, and we had flooding again only a few weeks ago. “It’s time there was a better infrastructure worked out for the people in this area, as this flooding has a lot of people worried. “It’s gone on and on – the council has tried to clear up for certain things but it hasn’t worked and people have to live with it. Cllr Haines has started a petition for more to be done about the flooding problem, and has 240 signatures to date. Among the worst areas affected are Elsfield Road, Dents Close, Ferry Road, Edgeway Road and Croft Road. He acknowledged Oxfordshire needed new houses to be built to ease the housing crisis, but pointed out the importance of the infrastructure to go with it. “We definitely need more housing in Oxfordshire, but you have to work in the infrastructure and then build the houses – you don’t put up the houses and then worry about the infrastructure afterwards. A spokesman for Oxford City Council, says: “The City Council as planning authority has made it clear to the Barton developer that it will need to ensure that the new development does not add pressure to the existing network. NEWS that Marston residents will have to wait yet another year for lights to be installed in their local recreation ground has sparked anger. Just when it was thought a long-running battle for lights in the Croft Road recreation ground had been won, Oxfordshire County Council said the work will now not take place until next year. In March the county council’s transport chief Rodney Rose approved plans for the lights to be installed as part of a scheme to invest £180,000 in the area. Work was due to be carried out this summer but it has now been postponed to the spring. Marston city councillor Mick Haines spent five years campaigning for the lights. He said: “It is absolutely terrible for the children because it will be another winter without lights for them. “We were supposed to have the lights this year and I am shocked that we will have to wait longer. Mr Haines gathered 1,205 signatures on a petition to convince the council to go ahead with the scheme and even took it to Downing Street as part of his campaign. As well as installing lighting columns in the Croft Road recreation ground, the county council will be carrying out work on the cycle path linking Marston and the city centre. This will involve widening and resurfacing the path as well as putting in two replacement bridges. Mr Haines was told earlier this month that the work would be put on hold because of a few final issues which needed to be resolved. 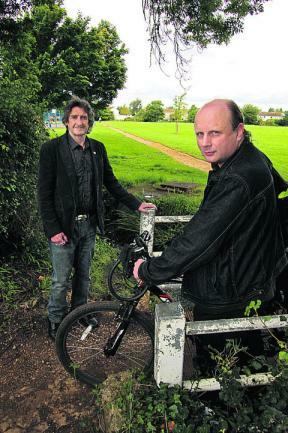 County council officer Victoria Butterworth told him the scheme was being held up by the purchase of a piece of land along the route which is needed to fiNegotiations with Oxford City Council were also ongoing about the maintenance and running costs of the lighting and which council would cover them. County council spokesman Martin Crabtree said: “We understand that any delay will be disappointing, but we will continue to work with the city council to complete the scheme. “It is now likely that the work will start next year.”t a wider bridge along the path. THANK you for printing the full results of the Oxford City Council elections on Saturday. I am far from clear why Labour gained seats considering the disgusting way they have treated pensioners, abolishing the one Dial-a-Ride minibus they used to pay for, while promising to pay £400,000 to schools, which by law are nothing to do with the city council. This is taxpayers’ money! How will it be spent? I very much welcome the election of Mick Haines as an independent councillor for Marston. He has led many campaigns in Marston over the years. 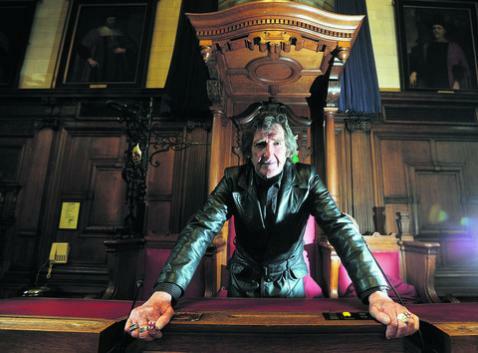 He will bring a breath of fresh air to Oxford Town Hall. I was an independent district councillor for 10 years, being twice re-elected. But that was only after I had, for seven years, distributed a little news sheet round Dorchester-on-Thames, and got to know personally 90 per cent of the village’s residents in the 1970s. Mick is himself a pensioner and I hope he will support Oxfordshire Pensioners’ Action Group’s campaign to bring back the second Dial-a-Ride minibus in the city. This was abolished on April 1, when the Labour-controlled city council withdrew the £61,000 it contributed for the minibus last year, on the specious grounds that it didn’t have the money. LABOUR strengthened its hold on Oxford City Council as Liberal Democrat candidates paid the price for their party's role in the national coalition. The ruling Labour administration picked up three seats to take a 10-seat majority on the 48-seat council. It now has 29 seats. The Lib Dems slumped from 16 to 13 seats as the party lost elections in Carfax and North wards to Labour and Holywell to the Green Party. Labour picked up seats in St Clement's from the Greens, where sitting councillor Nuala Young stood down for this year's poll, and Northfield Brook, where the Independent Working Class Association's Stuart Craft stood down. Yet Labour had a shock as independent Mick Haines took Marston from the party with 877 votes to Louise Upton's 636. And former Green group leader Craig Simmons returns to the council after stepping down two years ago, replacing the party's Matt Morton in St Mary's. The party retains five seats on the council. Lib Dem leader Stephen Brown said his party only lost seats where the candidate, including himself in Carfax, was stepping down. This meant the coalition Government played a greater role in voters' choices in these seats, he said. Mr Brown said: "I am very disappointed but I think the Lib Dems are in a very difficult situation because of the national situation." Labour leader Bob Price said: "We are very satisfied with the outcome. "I think the national picture went against the Lib Dems. "They are propping up a very right wing Government, that has played very badly with the Oxford electorate." Mr Simmons said: "It is good to be back on the council. It was a hard fought battle." Mr Haines, the council's only independent, said: "I feel over the moon. UK Independence Party candidate Dr Julia Gasper, who caused outrage in the final days of the election campaign with comments about homosexuality, came last in Quarry and Risinghurst with 69 votes. The voter turn-out was 29.4 per cent, council spokesman Louisa Dean said. Independent Mick Haines was elected for the Marston ward of Oxford City Council. ELECTION night in Oxfordshire has kicked off with three significant results. Independent Mick Haines, a longtime community campaigner, has won Marston off Labour in the Oxford City Council elections. Mr Haines won 877 votes, beating Louise Upton, who polled 636 votes. It had been a good week for Ian Hudspeth, who last Thursday was voted in as leader of the ruling Conservative party on Oxfordshire County Council. He will replace Keith Mitchell later this month. But tonight he has lost his West Oxfordshire District Council seat to Liberal Democrat Elizabeth Poskitt.